Shapwick Station was opened on 28 August 1854 to serve the village which was two miles away. It was a passenger station of some significance in the early days of the railway, as George Warry of Shapwick House was one of the founding Directors of the Somerset Central. 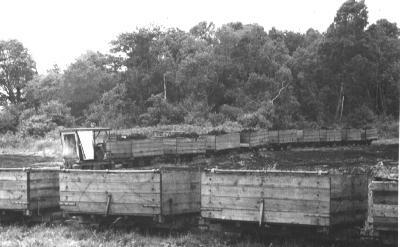 Extensive peat traffic developed over the years, some of which was dispatched from the Goods Yard. Nearby was Alexander's Siding which served the Eclipse Peat Company's works (later Fisons) via a 2ft gauge tramway. The low lying land was liable to flooding, especially during periods of heavy rain. To diminish this danger, a ditch was cut between Shapwick Lock and Ashcott Bridge. Floods in Shapwick during the exceptionally wet winter of 1860-61 led to H Strangways (of Shapwick Manor ?) claiming compensation for flooding damage due to the canal being filled in in various places. The Somerset Central Railway refused to accept liability, not considering themselves responsible for maintaining the canal as a drain east of the lock. Nevertheless, by the end of the year, they had agreed to provide a trunk under Shapwick Station to relieve the land of flood water penned back by the filling of the canal there. From the beginning of operations, facilities at Shapwick were considered to be insufficient. In September 1854, a 50 ft extension to the platform and a privy for the men was deemed necessary. The Bristol & Exeter Railway also laid additional sidings. In 1862, Shapwick Goods Porter, Windmill, was reported for incivility and irregularity in his accounts. He was reprimanded and removed to the general offices as an Office Porter. In 1872, Jasper Richards was Stationmaster. The station burnt down on 25 September 1900. A new structure was soon built in timber. The Southern railway made further alterations after 1923, including the substitution of pre-cast concrete platforms and ramps. In 1922, it was necessary to make economies. One Signalman was replaced by a Porter-Signalman (saving £7 per annum) and one Porter was made redundant (saving £138 p.a.). 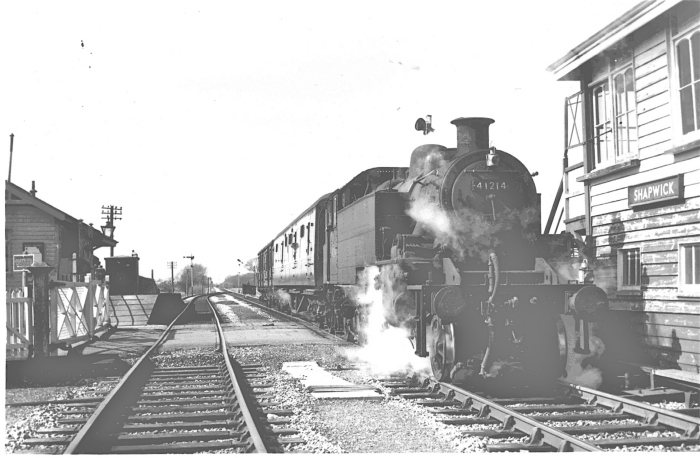 In the 1950s, Fireman Gordon Hatcher remembers stopping at Shapwick with a freight train to cross a passenger train in the loop. He would be sent across to the pub outside the station with an empty tea bottle to get it filled with cider. He says it was just like orangeade. Goods traffic ceased on 10 June 1963, and the station closed to passengers on 7 March 1966.